This smoothie has a beautiful orange color and contains no added sugar, but the natural sweetness of the apple and orange. It provides 2½ servings of your daily fruit and vegetable requirements and is full of fiber, antioxidants, and Vitamin C! 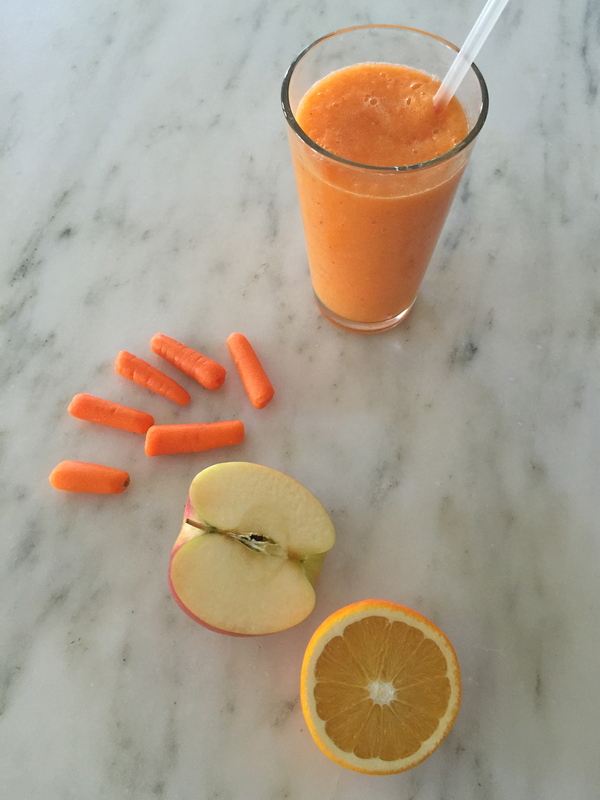 Place carrots, orange, apple, water and ice cubes in blender. Blend thoroughly. Serve in tall glass.